If you love your mattress and dread the idea of traveling and sleeping on different ones you aren’t alone. 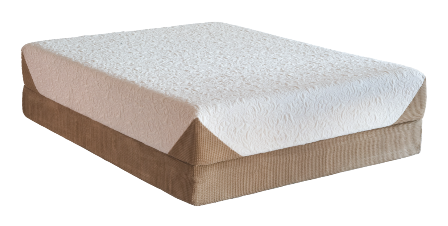 What makes a good night’s sleep without tossing and turning starts with having a firm mattress. Unfortunately, hotel mattresses get used hard and break down fast. Someone once told me that the side closed to the bathroom gets used a lot more than the other side so, in order to get the firmest sleep go to the other side. This advice has been invaluable over the years. This last week I have been visiting relatives and have been on a ‘once proud’ firm mattress. Unfortunately, it isn’t very firm any more. It took me 5 days to remember the hotel advice but eventually I did. I had to rotate the mattress instead because there wasn’t enough room on the other side to get around. Wow! Quite a difference. It was plenty firm enough so that I could get my head at just the right height. I didn’t toss and turn at all last night and felt much better this morning. What a relief. The seats are angling backwards from the table. The seats are very low in back. The lower back support is arched to push your back forward. These ergonomic chair design elements have a negative impact on the tension in your body. 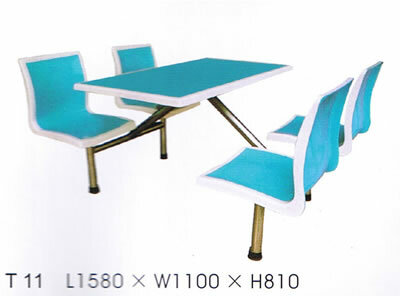 The overall effect is to make you hunch forward toward the table - and your food - and I believe to make you eat faster. The fast food industry wants you to eat fast so that they can move you out from the table and replace you with their next customer. This sitting position, with your hips below your knees, forces your upper body to lean forward. Sitting like this puts stress on your spine, muscles and nervous system. You can’t be comfortable for very long like this even if it is a bit below your conscious awareness. But think about it and you will notice that you usually don’t stay too long at fast food places. Do they design your chair as well as your surroundings in order to move you along so they can get to their next customer? Is this “Creative use of ergonomic seat design” possibly harmful or at a minimum being deceitful for profit? You decide. Mattress Fashion – What Does Vera Wang Know About Making Mattresses? 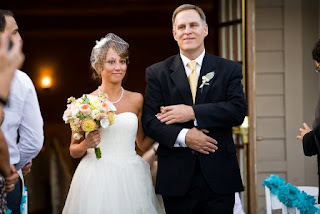 Vera Wang knows about fashion design of course (isn’t my daughter beautiful in her wedding dress?). But really; promoting a mattress? What does she know about mattress design for sleeping well? Probably not much but again, she knows about fashion design. I went to my mattress manufacturer the other day at their invitation. I was taken upstairs to their plant’s showroom to look at mattresses. I mean literally “to look” at mattresses, as in a fashion sense. What I was shown was the newest trend in “mattress fashion”. When I was at the factory, the mattress covering I was shown was as flat as a sheet, without any quilted poufs. I actually thought it looked pretty cool; modern yet simple. Anyway, this was why I was there… to see the newest in mattress fashion and to discuss changing the look of my Sleep System Mattress to keep up with the fashion trend. I was a bit stunned at first that fashion should even be an issue in mattress sales. I have designed my mattresses from the idea that their value is in the technology which allows you the best night’s sleep you could get. My first thought was that it isn't necessary for us to change how our mattress looks. I figured that those who are buying our mattress are doing so because of the structural design and the quality of the materials we use to get the right combination of firmness (which we know is necessary) and comfort. In other words, most of our buyers have been referred to us by their doctors because our mattress is best for their body. As I was driving away from the factory I thought… well, why not? Why shouldn’t fashion appeal be important in the buyer’s decision also; especially considering the competitiveness of mattress marketing? Our part of the mattress market isn’t that competitive however, I still believe our buyers deserve the best. So, I am going try one of the new mattress covers as a demo (as I always do with anything new) and see if I notice any difference in sleeping on it. I will post my results for you.